Timothy Jack Hause “Tim”, 64, of Springfield, passed away March 22, 2019 in Ohio State University Hospital. Tim fought a long and courageous battle and in the end the Lord came to take him Home. He was born March 9, 1955 in Springfield, Ohio, the son of Philip John “Jack” and Betty (Rinehart) Hause. Tim was a devoted Cleveland Browns fan. He also enjoyed the Ohio State Buckeyes, working in his yard and he was an avid animal lover. 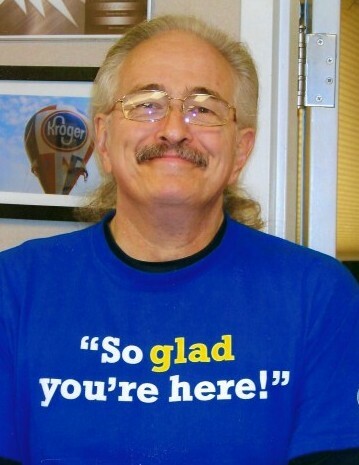 Tim had been employed at Kroger’s on Derr Road for nine years. He was a volunteer on the Moorefield Township Fire Department for 20 years and was a graduate of Northeastern High School and Clark State Police Academy. Survivors include his loving wife; Ann C. (Hermanns) Hause, one son; Timothy J. Hause, Springfield, grandchildren; Alexis Hause and fiancée Josh Ratliff, Chris Hause, Carden Hause and Braylon Hause, one great grandson; Joshua Ratliff III, siblings; Daniel (Monica) Hudson, Kentucky, Teresa (Donald) Kochheiser, Mansfield, Ohio, Phillip (Becky) Hause, Kansas, Sharon (Larry) Atherton, Richwood, Ohio and many loving nieces, nephews and cousins. He was preceded in death by a son; Christopher Hause and his parents. A memorial service will be held at 3:00PM Wednesday, April 3, 2019 in the JONES-KENNEY-ZECHMAN FUNERAL HOME with Pastor Rick Clos officiating. Friends may visit with the family from 1:00PM until the time of the service. In lieu of flowers, contributions may be made to the Clark County Humane Society. Condolences may be shared at www.jkzfh.com.